For businesses throughout Dallas, TX, ensuring the right windows, vinyl siding, or patio has been installed is a major factor in bringing in the right type of clientele. Your business should look accommodating, professional, and open to the public for business. This is why you require the services of a company with over 100 years of expertise in the field. Our team of expert technicians has been with this company for over 30 years now, servicing the North Texas area. We currently offer the very best products and the highest level of customer service possible, ensuring every client we work with receives our best work. 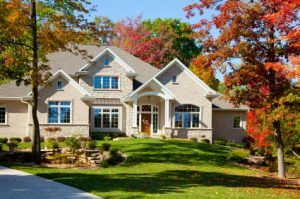 Whether you are interested in increasing the resale value of your home or simply want a more aesthetically pleasing front, we can certainly help. Our technicians are standing by to take your call today. Whether you are interested in brand new custom windows for your home, the very best vinyl siding, or a custom patio cover so you may relax in the afternoon breeze, our expert technicians have been performing these types of jobs for decades now. When you hire Best Buy Windows & Siding, you will receive a guarantee that the job will be completed in the correct manner each time. We do not perform shoddy jobs and then come back on subsequent visits to help repair the issue. Our technicians meet with you directly to lay out the entire job, ensuring we know exactly what your expected outcome for the work may be and satisfying your needs. Once we understand your home improvement needs, we can provide the right quote for the job and our recommendations to ensure you understand the investment you are about to make and how to make the most of it. With our pricing model, there are no hidden fees, no additional expenditures, and no significant delays.